theBoom is an incredible product but we receive hundreds of e-mails every month from customers looking for a way to improve the performance and fit of their headsets. A custom earpiece from Avery Sound is the answer. How do I order a custom earpiece? Click on the blue Shop Now button below the product offered. 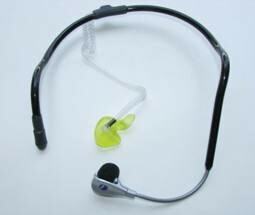 If placing and order for two or more earpieces, let us know if the earpieces are for the same person and same ear. If for different people, please specify the name and color for each person in the comment section before check out. 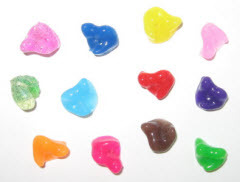 Once your order is received, we will ship an impression kit to make an impression of your ear. (or in the case of deep impressions, we will email you a Lab Order Form, see deep impression advisory). Mail the completed impressions to our lab using the postage paid mailing materials or to the address at the bottom of the lab order form. We will use your impression to make a reverse casting and return to you a custom made earpiece that will fit in your ear and are guaranteed to give you the comfort and convenience you have been looking for. 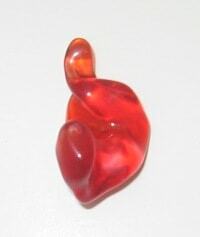 Earpieces can be ordered in a wide variety of colors. If no color is selected the earpiece will have a variable tan color. (The material does not cure perfectly clear.) There is even a glitter option for that personalized touch. remake your earpiece for free! What are the benefits of an Avery Sound Custom Earpiece? Our earpiece will provide a comfortable fit. No more generic eartips...our earpiece is custom made to fit your ear. Our earpiece will hold the headset firmly and comfortably in place. Your headset will no longer fall out of your ear. Our earpiece will substantially increase caller volume and block more ambient noise. With our custom earpiece you will be turning your phone volume down. Which theBoom models will work with the Avery Sound Custom Earpiece? The earpiece is not only custom fit for your ear but is custom fit for the specific theBoom model. 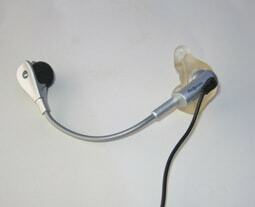 Shown below are examples of theBoom models with custom earpieces. If you do not see your model pictured send us an e-mail. We are adding new models every month. I picked up the custom earpieces today and tried them out and I am impressed. You guys did a great job. They fit perfectly and function as intended. Thanks for the custom work. Great job to your team! The earpiece I have is awesome. It is so comfortable that it feels like it is going to fall out until you realize you have to tug it out when I take it off. Amazing. You can use me as a testimonial. I received my earpiece today. It's amazing!!! One of the best investments I have every made. I would like to take advantage of the special offer of purchasing a second earpiece. Thanks!